Berry's Adult Foster Care was established in July, 1969. A registered nurse for the City of Detroit by the name of Evelyn Davis Berry and her husband Howard Berry Jr. (a World War II Veteran) had a vision, a plan, and a location. Their vision was to open a community facility that would meet the needs of the mentally challenged, developmentally disabled, physically handicapped, traumatically brain injured and the elderly. They pursued the vision and it became a reality. They opened a second facility in 1970 on East Grand Blvd., which was sold in 1997. The facilities were structured as a sole proprietorship from 1969 to 1990. In 1980, Evelyn convinced her daughter, Elva, a graduate of Spelman College (1977) to become the administrator of the two facilities, as she stayed on to assist. At this time, Elva was a full-time State of Michigan employee working in the Department of Mental Health. 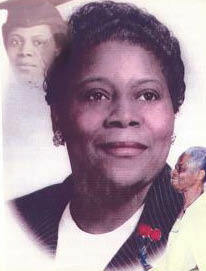 In 1985, Elva Denise Berry Steward received her second degree from Highland Park Community College in nursing. As an RN, she was also able to provide the same quality care that she had observed her mother implement from inception. In 2005, Elva obtained her MBA in Healthcare Management from American Intercontinental University Online. In 2011, Elva obtained her certification as a Certified Brain Injury Specialist from the Brain Injury Association of America Academy of Certified Brain Injury Specialist. On February 6, 1990, Berry's Adult Foster Care Home became a for-profit corporation with the name changed to Berry's Adult Foster Care Homes, Inc. The individualized quality care, however, remained the same. In 1997, the founder became a consumer at the facility due to numerous health conditions after the death of her husband Howard Berry Jr. in 1991. In 2002, One on One Respite Care, a subsidiary of Berry's Adult Foster Care Homes, INC., was established. The first client was the founder of Berry's Adult Foster Care Homes, INC., and she received excellent respite individualized care during her stay. Evelyn Berry, RN, departed this life on 11/07/2003, under Hospice of Michigan Care services and the services of the caregivers at this facility. She was 87 years old. The purpose of Berry's Adult Foster Care is to restore, improve, enhance, develop and maintain the abilities of our consumers who are aged, physically handicapped, developmentally disabled, mentally challenged and medically fragile. Also, to ensure that they have the opportunity for maximum participation in life and the community regardless of their disability. Our mission and strength as an organization exists because of the trust our consumers have in choosing us. Without them, we could not serve your community. A goal of lifelong learning, development and growth is key for both individuals and the organization. Berry's Adult Foster Care Home, Inc. is committed to improving quality throughout all levels of the organization. In an organization, all individuals play a role in the success of the whole. Each individual striving to improve themselves and their skills can only have a positive effect on all those around them. The time invested in developing talents and abilities that will lead to greater success for the organization is highly valued at Berry's Adult Foster Care Home, Inc. The realization that working together is the only viable route to success is key at Berry's Adult Foster Care Home, Inc. Removing obstacles to cooperation and teamwork and working collaboratively is highly encouraged and valued.